How do I manage my bot admins? 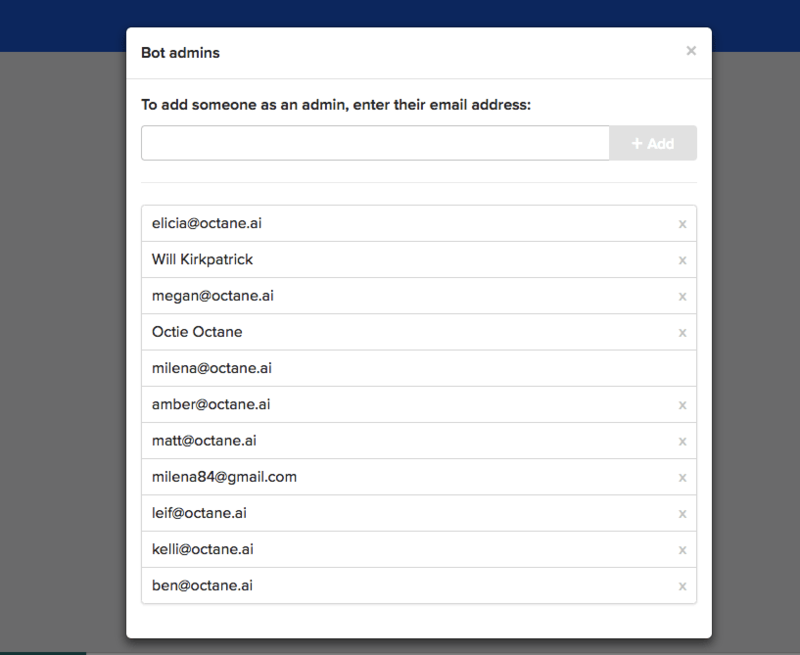 From here, enter the email addresses of people who you'd like to give Admin permissions to. Click the "x" next to an email address to remove that individual's permissions. 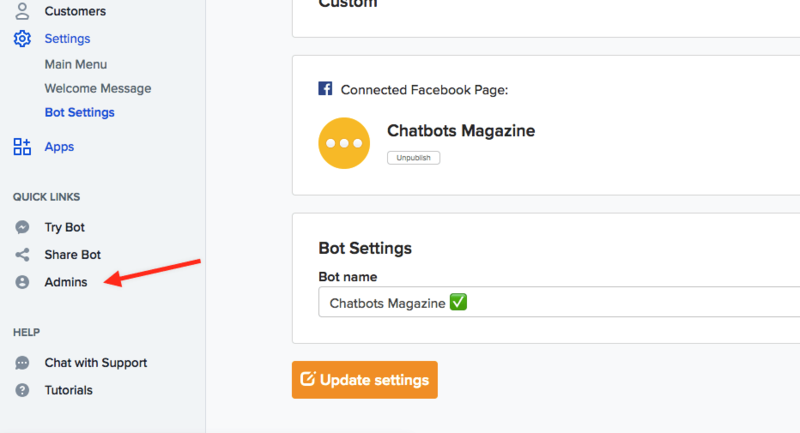 Bot admins can access all areas of your Dashboard and post on your bot's behalf.